Sometimes I think I make recipes like Spaghetti, Lasagna or Ziti just as an excuse to make garlic bread. 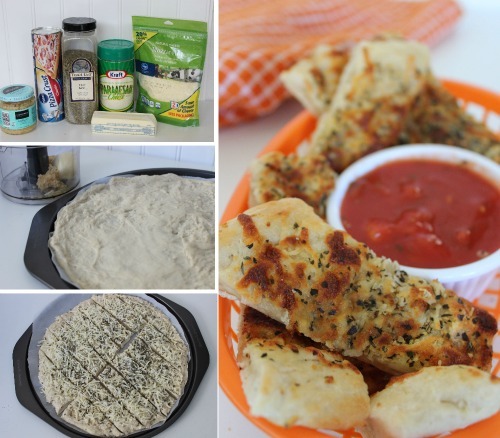 At least, I do now that I found this awesome Easy Cheesy Garlic Bread recipe. I mean, I always loved garlic bread before, but now that I can make it at home just the way that I like it and eat it fresh out of the oven–yum! This recipe for garlic bread pretty much covers everything I look for in a good recipe. It’s easy to make, it contains only common, easy-to-find ingredients, and it’s delicious! Plus, while I wouldn’t exactly call it a health food, this easy garlic bread recipe is healthier than those frozen kinds you can buy. So, that’s a plus. I mean, I could make find a recipe for garlic bread completely from scratch, but who has time for that? Not me. So this recipe offers the best of both worlds: not too difficult to make, not chock full of weird ingredients, and still super yummy. If it’s been a while since you’ve made your own garlic bread, then bust out the spaghetti and make this Easy Cheesy Garlic Bread recipe tonight. 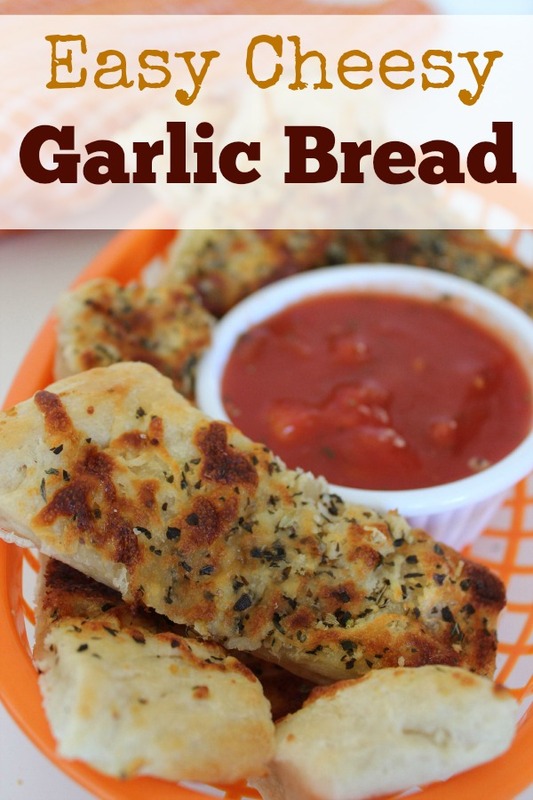 Even if you have picky eaters in your house, this easy garlic bread is sure to be a big hit! Mix together softened butter and garlic to make a spread. Line Pizza pan with parchment paper. Unroll pizza dough and stretch to fit prepared pan. Spread butter mixture to completely cover pizza dough. Sprinkle mozzarella cheese evenly over dough. Sprinkle parmesan cheese evenly over dough. Sprinkle basil evenly over dough. Using pizza cutter cut into 6 strips and then down the middle. Bake for 10 minutes or until crust is lightly browned. Cut again along previous cuts to separate.